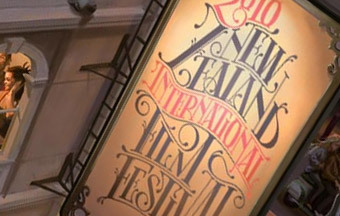 The annual New Zealand International Film Festival has long been the premier film event of the year, and the cultural highlight of the New Zealand winter. We bring an impressive array of the latest and best films from all over the world to 15 cities and towns around New Zealand. The Festival commences in mid July, lighting up central Wellington. The 2010 line-up will feature more than 140 titles including hot titles from the Cannes and Sundance film festivals. All films, other than designated retrospectives, are New Zealand premieres (a key requirement for films in the programme) so that we can offer audiences their first-ever opportunity to taste a cinematic smorgasbord of titles not confined to the mainstream. A rich and varied programme of international and homegrown features and documentaries as well as key retrospective presentations has now been announced. Film Schedule / Bookings / Info: For more information visit the International Film Festival website. Wellington's culinary festival, Wellington On a Plate, returns for 2010. Get your knives and forks out from 14-29 August 2010 for a tasty lineup of culinary experiences and festival events to please every palate and every budget. Last year the delectable variety the festival had to offer included sumptuous food tastings, sneak peeks into the kitchens of the capital's best restaurants, a craft beer festival, espresso tastings, cocktail trainings, and an array of food and beverage matching, banquets, and lunch and dinner theatre. This year, the festival will bring you a bountiful feast for the senses brimming with even more mouthwatering delights; the programme will range from lavish high end haute cuisine in the CBD to scrumptious foodie events throughout the greater Wellington. 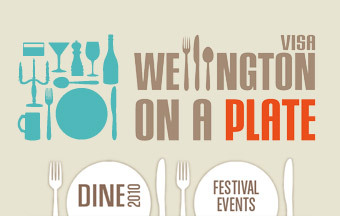 The festival centre piece is DINE Wellington, a fortnight where the region's finest restaurants offer lunchtime set menus for $15, $25 and $35 and various dinner offerings to tempt your tastebuds. So fill your plate with everything Wellington has to offer - and make sure you head back for seconds! On August 27 and 28 at the Wellington Town Hall, brewers from around New Zealand will be showcasing their finest beers at Beervana - an event which gives the public a first hand opportunity to meet local brewers, try award winning beers and festive brews released especially for the show. With limited tickets allocated to each session, this highly popular event focuses on offering people a quality tasting experience and beer-related seminars. 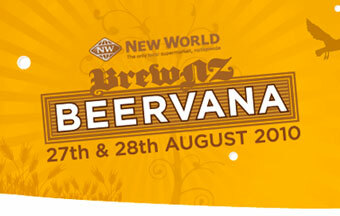 Beervana follows on from the BrewNZ Beer Awards, New Zealand’s premier beer competition, now in its ninth year and growing every year. The award winners will be announced in Wellington on Thursday, 26th of August, the night before the opening of Beervana. At Beervana, the public will have the chance to sample some of these award winning beers and to meet the brewers behind them. Tickets to Beervana are $30 which include the first drink. The Montana World of WearableArt™ Awards Show is an annual non-stop spectacular held in Wellington, New Zealand. Artists and designers from New Zealand and around the world enter truly amazing garments that are presented in a unique two hour show of choreography, music, lighting and special effects. New Zealand’s Montana World of WearableArt™ Awards Show is an extravaganza that twists conventional perceptions of both art and fashion and weaves them into a performance that has been described as “Mardi Gras meets Haute Couture at a Peter Gabriele concert directed by Salvador Dali”. Over 160 incredible garments grace the stage across seven unique sections. In 2010 for the first time the Avant Garde section will be themed, with all garments Inspired By The Circus. In 2010 the awards return to Wellington for a fifth year. From humble beginnings in 1987 as a promotion for a rural art gallery in Nelson, the two hour show has grown to become a New Zealand icon event, with 40,000 people attending it each year. Moving the event to New Zealand’s creative capital has enabled thousands more people to enjoy the magic of the Montana WOW® Awards Show every year. However it’s not just a Wellington event; it’s New Zealand’s much-loved theatrical extravaganza which appeals to people all over the world, and Wellington is proud to host it. The 2010 Four Nations Tournament will kick start with the tournament opener on October 23 at Westpac Stadium where the New Zealand ‘Kiwis’ will take on rivals England. 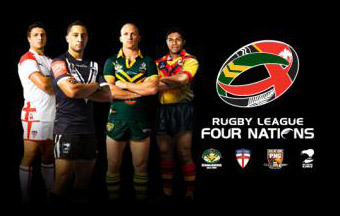 The Four Nations brings together Australia, New Zealand and England as well as, this year, PNG whose Pacific Cup success last October qualified them for the tournament. Tournament series partners the Australian Rugby League, the New Zealand Rugby League and England’s Rugby Football League have announced a seven-match schedule including a ‘double-header’ at Auckland’s re-developed Eden Park Stadium. Date: Saturday 23rd October 2010 8:00p.m. The Circle tour will see the band spend much of the next two years on the road, performing a staggering 135 shows in 30 countries. This brand new stadium stage production coming to New Zealand is one of the biggest sets ever to be seen in this country. Powered by 800,000 watts of sound and containing close to 10,000 pounds of high definition video technology, it will blow fans away! Having sold more than 120 million albums and performed more than 2,600 concerts in over 50 countries for more than 34 million fans, Bon Jovi is at their best when they’re on the move, and that’s truer now than ever before. 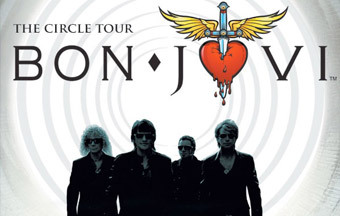 The November 10th, 2009 release of Bon Jovi’s new album, The Circle, and the band’s subsequent world tour, provides a powerful reassertion of Bon Jovi’s commitment to hard-hitting rock & roll that has been the band’s indelible signature since it began more than 26 years ago. Bon Jovi has established themselves as one of the world's most dynamic live rock acts. Jon Bon Jovi said recently “I put out as much for 50 people as I will for 60,000. You want to be great every night. Every time you step in front of the microphone and pick up a guitar you want to be the best that you can be. The Wellington region will be at the heart of the action during Rugby World Cup 2011. As proud host of five pool and two quarter-final matches, our vision is to build a legacy, memories and relationships that will last a lifetime! There are plenty of highlights in the Wellington draw that will take place at New Zealand’s favourite sporting venue. But that’s just part of the fun. Wellington will make sure our hosted teams feel more than welcome and visitors have plenty of chances to mix it up with the locals in fun-filled Fan Zones and other RWC 2011 festivities. We’ll be recruiting volunteers and making sure visitors know how to get around. Environmental responsibilities and your safety are also part of ensuring everyone has a good time in Wellington. Tickets: Applications for tickets open on 27 April 2010. YOUR CITY, YOUR TEAM. Be part of something exceptional with the Wellington Phoenix FC. Get behind your team in 2010/11 and enjoy the pride, passion, power and prestige only top-flight football can deliver. As a Phoenix supporter you’re part of the team. Together we are strong.. It is the hottest ticket in town – a Wellington Phoenix match at Wellington's Westpac Stadium during the Hyundai A-League season. As the Phoenix take on Australia’s best football clubs in an expanded competition, the football action will be hotter and more intense than ever. After the exceptional 2009/10 season which saw sold out crowds at Westpac Stadium, this season promises to be the biggest and best yet. 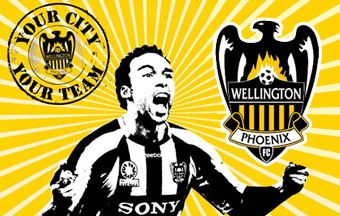 Wellington Phoenix FC will play 15 games at home during this year’s 30-game Hyundai A-League 2010/11 season. See the full draw below.